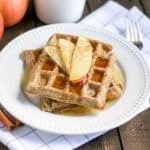 Pumpkins are definitely an obsession during fall, but the other thing that I cannot get enough of is apples! Apple cider, baked apples, apple sauce, apple crisp, you name it, when apple season comes, it is on. Recently, I grabbed our first apple cider of the season. I am not a fan of spiced rum, but when hot apple cider is involved, a touch of rum can make it all the more enjoyable so this was the plan. But this apple cider didn’t even make it to a night with rum thanks to my new found love. It all came from one of those “I wonder what would happen if…” situations and thankfully the final result was even better than I ever imagined. So there are some discrepancies in the industry when it comes to apple ciders. If you get it at the grocery is has to be pasteurized so it may not be true apple cider. To get the real stuff, it is unpasteurized and usually only lasts about 2 weeks before it ferments. Pasteurized or not, the ingredient list is a good place to start. The ingredients should consist of one thing: apples. Not from concentrate and not full of preservatives. These are the main things that I typically look for. I don’t always get the raw, unfiltered stuff, but most groceries still carry a healthy and clean option during the fall. So back to where I began. I bought our first cider of the season. I was making some oatmeal that week, and thought, “What if I added apple cider to my oats?” And so I did. And my, oh my, it was good. I have added apples to my oatmeal before, but the flavor of the actual oats are not really impacted. Adding the cider did just that. 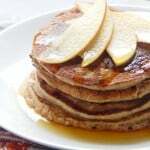 It added a balance of tartness and sweetness that is signature of apple cider. My breakfast was so cozy and with just the right amount of spice and flavor. 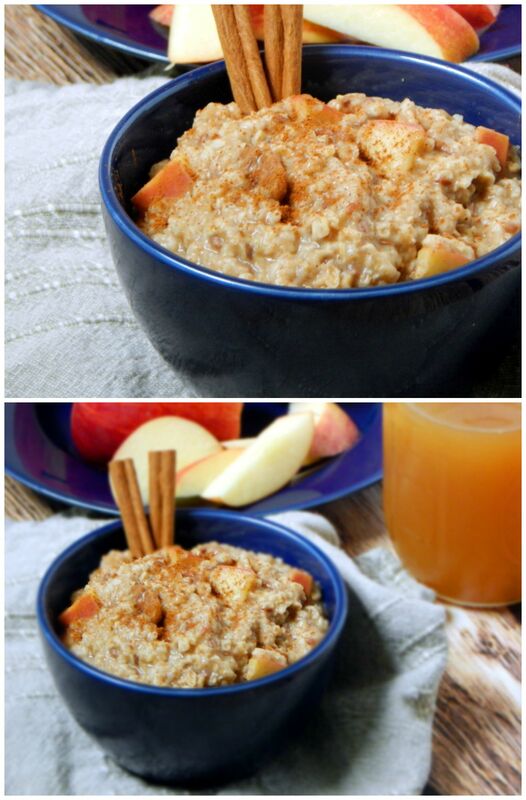 Thanks to this 2-Minute Apple Cider Oatmeal, breakfast will never be the same. 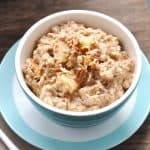 I made this recipe with quick oats, but I am certain you could make it with steel cut or rolled oats and simply follow the cooking instructions. I also used water, but you can use any milk if desired. This makes two servings but you can easily double or half the recipe depending on how many mouths you need to feed. And for all of my overnight oats lovers, don’t you worry, an overnight apple cider oats is in the works as well. As always, gluten free oats will work just fine here. So enjoy this cozy, warm bowl of oats with a true autumn twist this morning! Combine all ingredients in a large microwave safe bowl. Microwave for about 2 minutes or until desired thickness/consistency. Let cool for 3-5 minutes before eating. 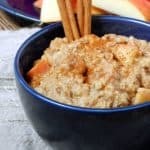 Even though these are not technically overnight oats, you could still prep these the night before and allow the cider flavor to really soak in overnight and then heat up in the morning! Basically an easy and very different than usual oatmeal. Well said, Sathya! I was amazed at what adding the cider did to change the oats! I hope you enjoy them!